After being practically useless for a week thanks to a lovely debilitating sinus cold, I'm finally feeling well enough to get back to my normal routine. 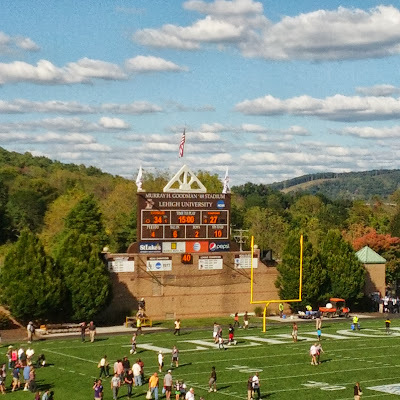 Thankfully, it was just in time for us to attend yesterday's homecoming football game at Lehigh, where Stephen and I watched our guys in brown and white pull off their fourth come-from-behind win of the season. It was a great day!